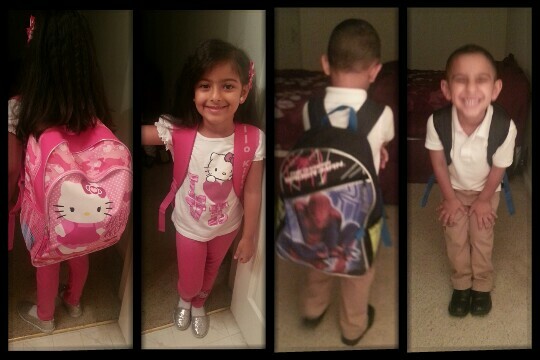 My babies' first day of school today. Not sure how to feel about that. They both grew up too fast for me.I tried to help them do stuff all day yesterday. Their response: "I got it mommy or I know how" Happy tears roll down my face...bittersweet moment!